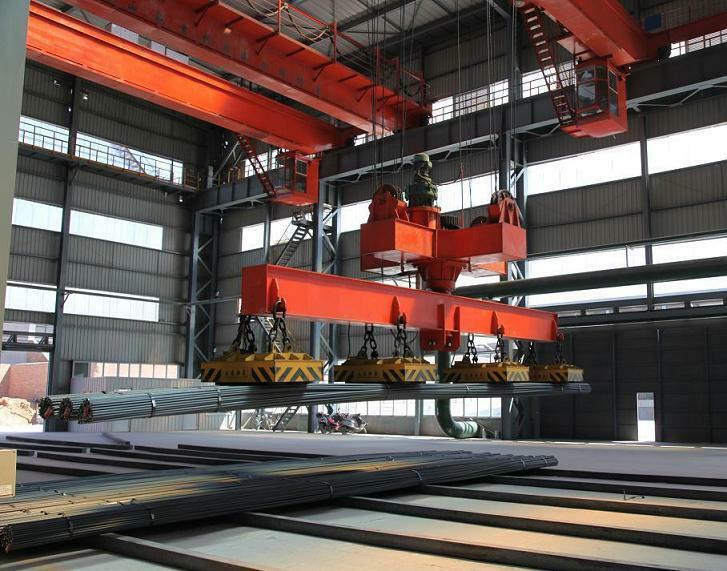 Electromagnetic Overhead Crane - Henan Jinrui Machinery Co., Ltd.
QC Electromagnetic Overhead Crane is a kind of medium and heavy duty crane hoist with best price. Usually used to lift steel materials and product etc. 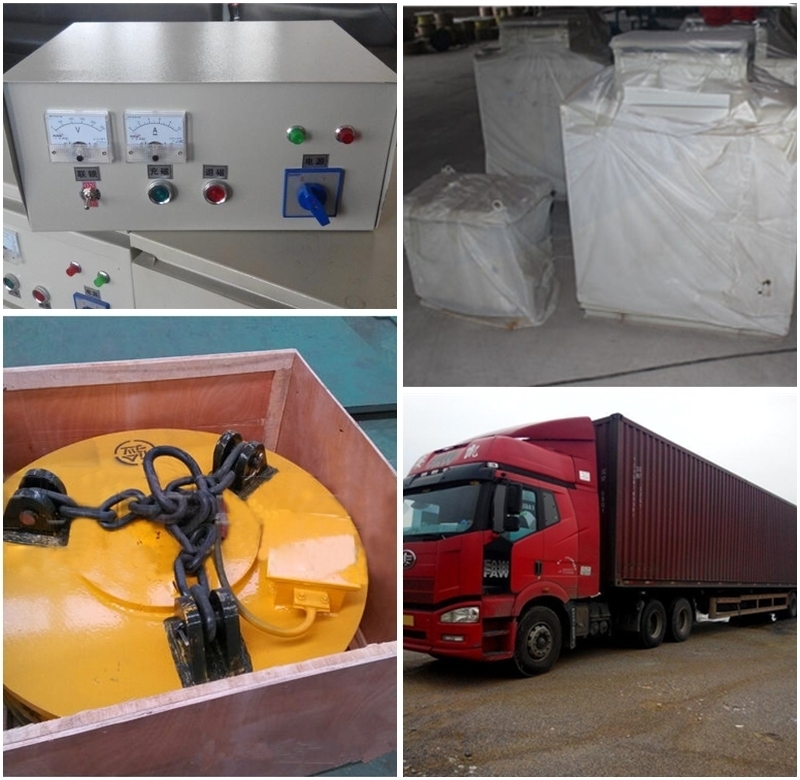 It consists of strong bridge girders, trolley-traveling mechanism, crab and electrical appliances, and could be classed into several working grades, for instance: A5, A6 and A7 according to the working frequency and time. This kind of crane normally controlled in cabin. 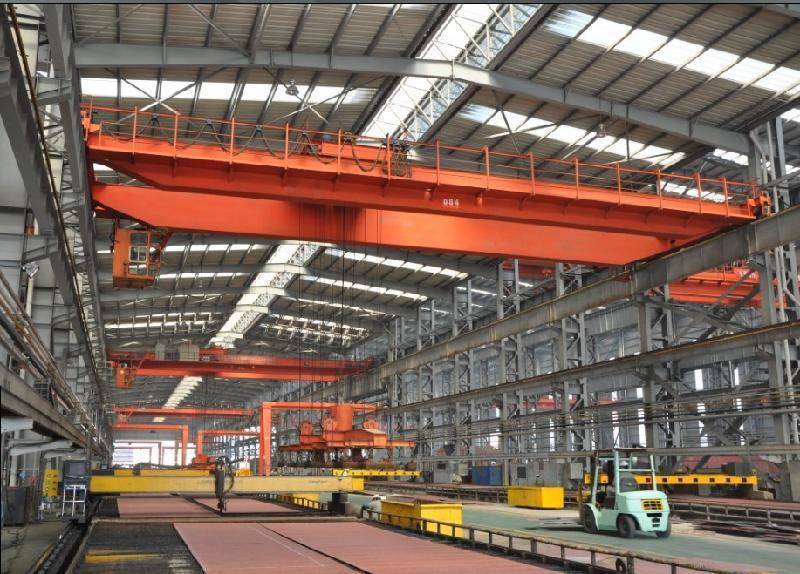 All magnetic Overhead Crane structure are chosen material with fine quality and meet regulation, the material has quality guarantee and inspection report. * Sand Blasting treatment for steel plate. * Robot and manual weld, make sure the whole body strong and beautiful. * With weld inspection report, in view of important welding seam and stress is more than tension weld of 70% allowance stress, conducting fault detection check and take out 5% weld length by ultrasonic test. * The bottom layer is zinc painting to prevent from rusting. * The color of top surface should be average. 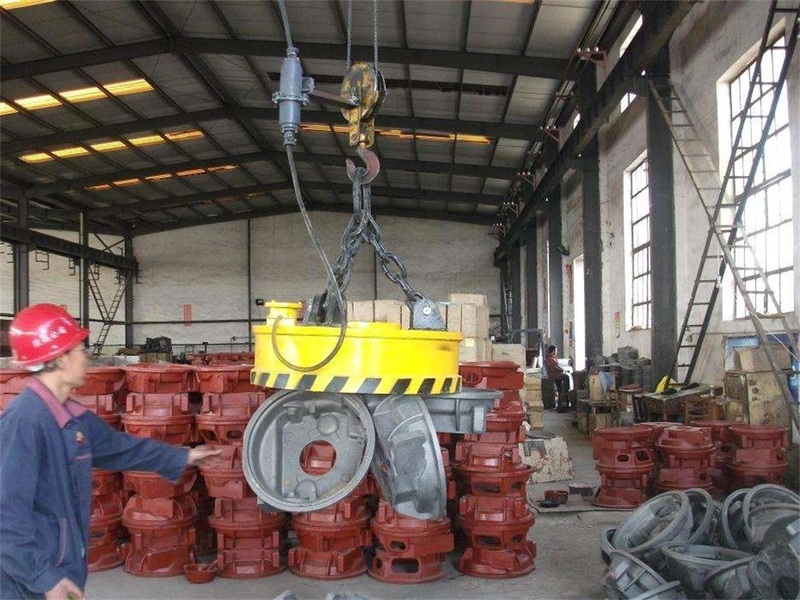 * Magnet Overhead Crane Lifting Magnet chuck includes round and square type, suitable for lifting and transporting steel scraps. * It has huge magnetic force and can attract lots of steel scraps at one time. * The trolley is designed to have slewing mechanism. So the lifted steel bar can change direction freely. 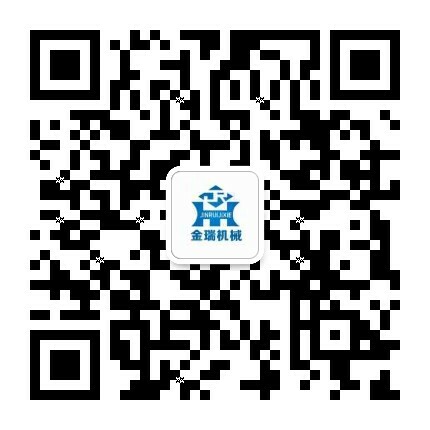 * China Top Brand: Jiangte Motor, or select by user requirement. * Protective class >= IP54. * Inverter from famous brand ABB can make lifting and traveling in any speed you want specifically for your work. All mechanism is controlled by PLC. * Cabin control, wireless control or pendent control.